The Artisan Gemstone Jewelry Site specializes in unique artisan Jewelry from the Gulf Coast of Florida. Each piece is created and handmade one at a time. Being a family operation we have no employees and this allows us to operate with a much lower overhead compared to companies that mass produce their products. With just one person designing and making the handcrafted jewelry, you are assured of a unique handcrafted keepsake that you will cherish forever. On this site you will find a large selection of matching jewelry sets, handmade necklaces, bracelets and unique earrings. We hope you take your time to explore and check out our product ranges. The products you see here are exclusive and you will never see our products displayed in a store. Because we are an e-commerce store, you will never have to leave the comfort of your home to shop and can avoid being hassled by a salesperson. All orders are shipped by USPS Priority Mail within two days. So whichever piece you decide on and purchase, you know that you are going to receive a timely shipment in a safe and secure way. We know you are going to love the jewelry pieces here and show it off to your friends and family. 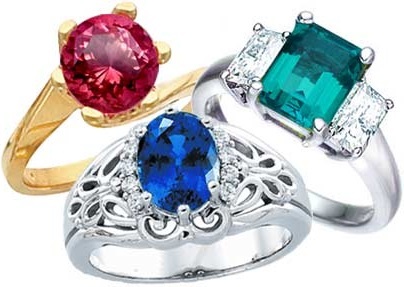 Thank you for visiting our site and do check back often as we are adding new handcrafted gemstone jewelry all the time. 1. All of the jewelry shown on this site are handmade from the highest quality materials which are sourced from trusted suppliers located in the United States. 2. All of our jewelry pieces are original creations. That means that we only have one made just as you see it on this site. If you are interested in the piece as is; please make your selection promptly! 3. When a replacement is made, it will not be identical because of the variation in color, shape and size of the materials/materials used. Do tell your friends about us and bookmark our site! Thank you for visiting. Happy shopping!